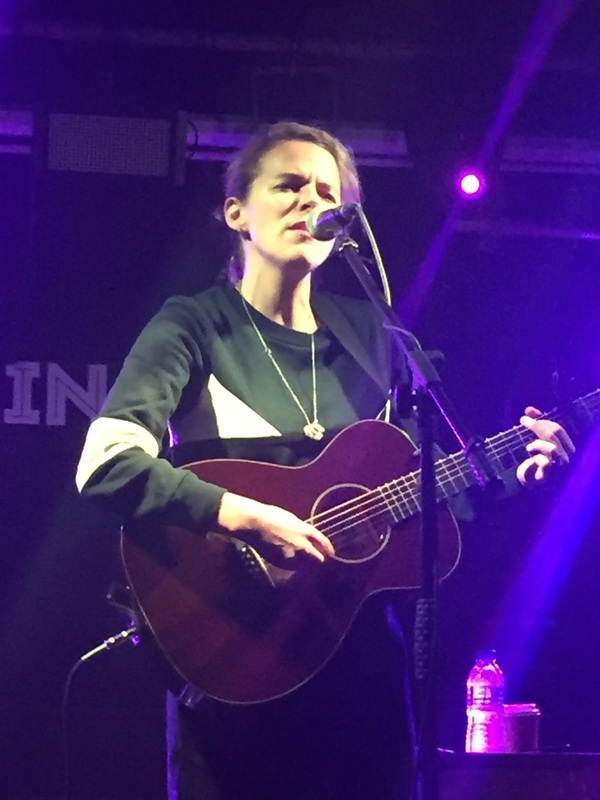 The highest praise you could give Aoife O’Donovan for this Oxford show is that Emmylou Harris and Joni Mitchell would have been proud of the way she covered two of their songs. Equally, pride would have also been forthcoming in how Aoife is developing as a songwriter in her own right. With a highly successful album under her belt and a brand new one sure to gather momentum over time, she now has a plethora of good solo material to successfully fill any show. Apart from the quality of the songs served up, Aoife was in a flawless mode and radiated a glowing mood in conveying how she was comfortable with her own career at present. 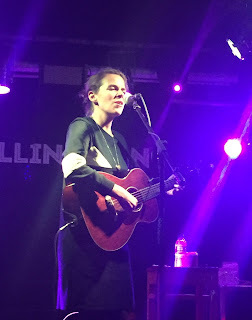 This was the third time catching Aoife live with the main difference on this occasion being her totally owning the spotlight instead of a bit part on the Transatlantic Sessions and a more significant role in the ‘I’m With Her’ trio alongside Sarah Jarosz and Sara Watkins. Aoife referred to the last time she visited Oxford which was the church gig with the two Sara(h)’s last year. In contrast to the other two performers, Aoife doesn’t veer down the rootsy route of fiddle, banjo and mandolin, with the sole use of acoustic guitar giving her a more contemporary sound akin with the classic-influenced singer-songwriters who have emerged in the style of the two icons which opened this review. The added bonus of this UK tour was the trio format of Anthony da Costa on electric guitar and Steve Nistor on drums. Together they thrilled a packed Bullingdon crowd, although there was a memorable moment when Aoife played entirely solo for two songs which included the Joni Mitchell cover ‘You Turn Me On I’m A Radio’ and a popular tune from FOSSILS in ‘Beekeeper’ which she stated was being played on this tour for the first time. These two songs were the realisation of ethereal divinity and at least the equal to the fruitful band highlights. Before elaborating further on Aoife’s set content, a notable and deserved mention is reserved for opening act Robert Chaney. 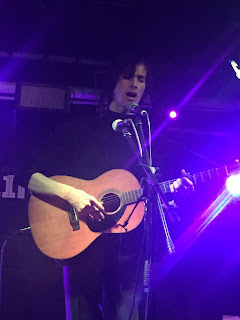 Although this curfew stricken gig had an early start, plenty were in the venue to watch Robert stride onto the stage and deliver a strong batch of interesting songs in a striking style. He had impressed a significant number of music followers outside London with his set at the Maverick Festival last year and this further sortie outside the capital won over a few more. Robert, who hails from Florida but has settled in the UK over the last couple of years, is a singer-songwriter who uses every note in his vocals to portray the mood of his songs and these are no shrinking violets. He is certainly not kidding when introducing his work as story songs especially when launching into the dark engaging number titled ‘The Cyclist’. Upon completion of this epic, Robert invited singing partner Laura Tenschert on stage to provide harmony on the interesting song ‘Corazones Amarillos’ and perform a duet on the audience friendly amusing ditty ‘Broken (Beyond Repair)’. Time constraints spared those present the gruesome ‘The Ballad of Edward and Lisa’, but I’m sure an open minded Oxford gathering would have warmed to the peerless graphical content of this curious song. Robert Chaney is an artist who needs a wider stage and his unique style of song delivery has a massive potential to engage those hunger for left field troubadour musings. Aoife was also complimentary of Robert’s opening slot as she launched into her own set with a pair of songs from her brand new album IN THE MAGIC HOUR. In fact it was more than ‘a magic hour’ later when Aoife closed the main set with the record’s title track. After opening with ‘Stanley Park’ and ‘The King of All Birds’, we were periodically served with several delights from this new release. During the frequent inter-song chats which positively flavoured the evening, we learnt of the origins of ‘Magpie’ and the road sign in Cork which simply point to The West. This had a tenuous link to ‘Detour Sign’, also from the new record, which probably saw its evening highlight with the seamless segue between ‘Donal Og’ and ‘Porch Light’. ‘Hornets’ and ‘Not Leaving’ completed a healthy portion of the set being dedicated to an album which will continue to grow during the year. Comparisons with 2013’s FOSSILS were always going to be forthcoming especially as Aoife’s debut solo release possessed a greater instant appeal. We were only a few songs into the set when the whole audience were invited to sing along to ‘Oh, Mama’. Another hugely popular number from this highly acclaimed record to warm the evening was ‘Red & White & Blue & Gold’. ‘Pearls’, ‘Briar Rose’ and ‘Thursday’s Child’ also represented the beauty of FOSSILS with the last of this trio being executed by just Aoife and Anthony immediately after the solo segment. Anthony was last seen on these shores when playing with Carrie Elkin last year and his sparkling performance this evening drew praise from members of the audience. Quite often rhythm in a trio associated with roots music comes in the form of a double bass, so it was interesting to see Steve Nistor’s presence on a full drum kit. However his input played a significant part and, as previously implied, there was a real contemporary feel to the sound, in the mould of Rosanne Cash, Lucinda Williams and Patty Griffin. There was an indication beforehand that an interesting cover would close the show and Aoife didn’t disappoint with a version of Emmylou’s classic ‘From Boulder to Birmingham’. This was a fitting finale for an artist poised to take the standard of articulate singer-song writing well into the next generation. This gig exceeded expectations all round. Her vocals were immaculate, the sound system perfectly accommodating, a Friday evening audience impeccable in their attentiveness throughout and the presentation of a raft of quality songs, stunning in their magical structure. Shows like this are an absolute pleasure to attend, so commendations to the Empty Rooms team for promoting another successful gig, Robert Chaney for owning the opening role and Aoife O’Donovan for a blissful performance.